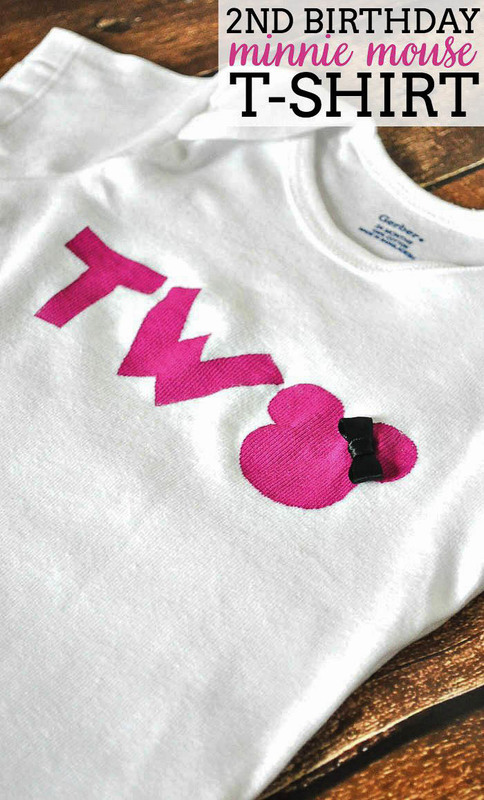 A 2nd Birthday DIY Minnie Mouse Shirt! My youngest niece is all about Mickey Mouse and Minnie Mouse right now. Her face lights up when she even hears the music start up for Mickey Mouse Clubhouse. Since she is turning two this month and I had some extra time, I decided to make her a new birthday shirt for this year. You might all be getting sick of the DIY t-shirts but I am not. I love them! They are easy and fun customizable projects. I made this one from start to finish in under 20 minutes. Plus, in my completely biased opinion, I think they make cute gifts. 1. Cut out your design onto the Freezer Paper. Keep in mind that you will be ironing on the design shiny side down onto the fabric. However, if using a Silhouette, you will need to have the Matte Side facing up if you want it to stick on the mat. Therefore, any design that is not symmetrical will need to be flipped/mirrored horizontally for cutting it out. 2. Remove the access of the design and iron the freezer paper stencil onto the fabric shiny side down. Make sure the iron is set to no steam. 4. Let the paint dry for at least an hour and then peel off the stencil. At the time, you might want to do a couple small touch ups with a paint brush but those are pretty minimal. You might even see some “distressing” on the shirts – I like them that way but you could definitely fill in with more paint if you want. 5. 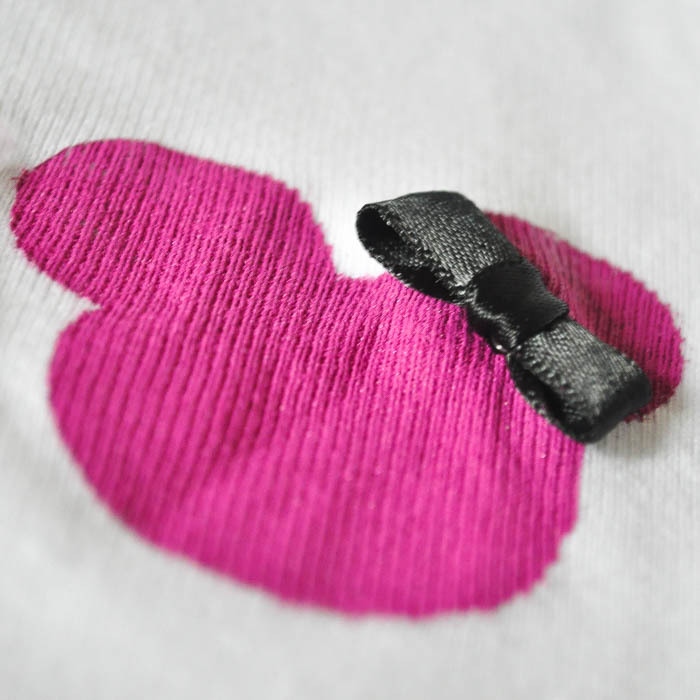 Sew on a little bow if you are indeed making a Minnie Mouse shirt vs. a Mickey Mouse shirt. 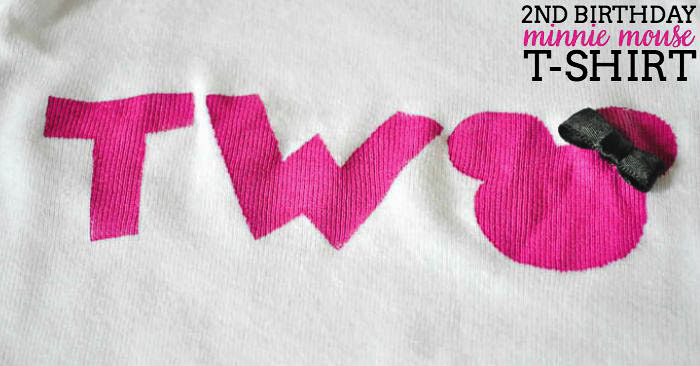 If you are interested in making your own customized shirts, check out my other DIY Shirts! I’ve made sibling shirts when a new baby was born, an Avengers shirt for my husband, a Jurassic World shirt for a friend and MORE!